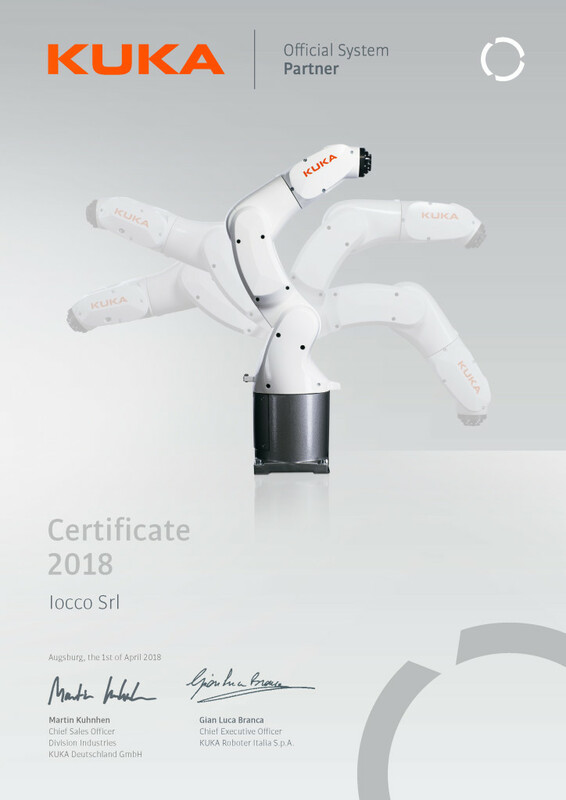 IOCCO is the official system partner of KUKA robots 2018. In order to always offer its customers the best solution available, a new and important confirmation of KUKA works . These particularly qualified partners provide even more industry-specific know-how. “With the advance of globalization, all market participants are faced with ever growing challenges. KUKA meets these challenges as a global partner, developing global standards. Moreover, this is not done alone, but always in an environment of clients, system integrators and technology partners.